Home Known Issues SharePoint Word cannot register your account. The provider where you are trying to publish is unavailable. Contact your provider for assistance. Word cannot register your account. The provider where you are trying to publish is unavailable. Contact your provider for assistance. 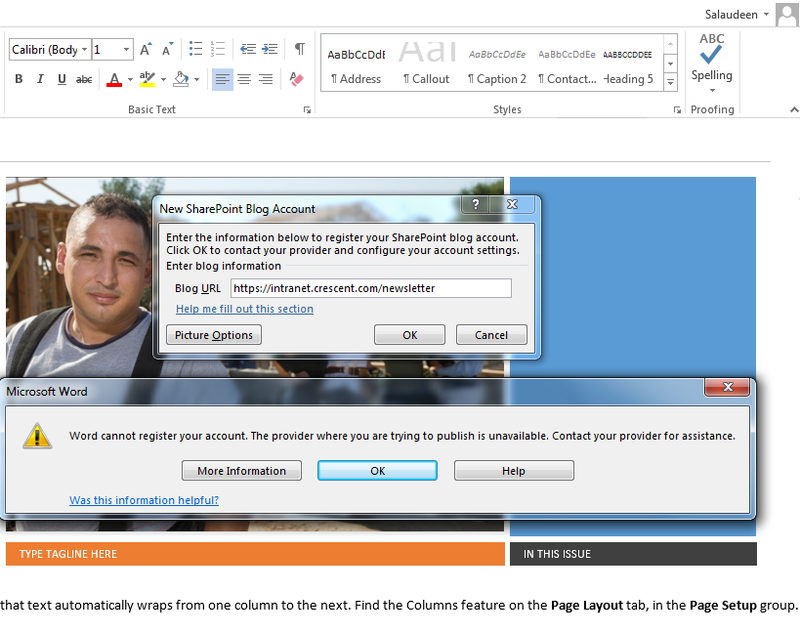 Tried publishing a blog post to SharePoint blog from Microsoft Word 2013 from "File >> Share >> Publish to Blog". While registering a new SharePoint blogging account, got this error message "Word cannot register your account. The provider where you are trying to publish is unavailable. Contact your provider for assistance." 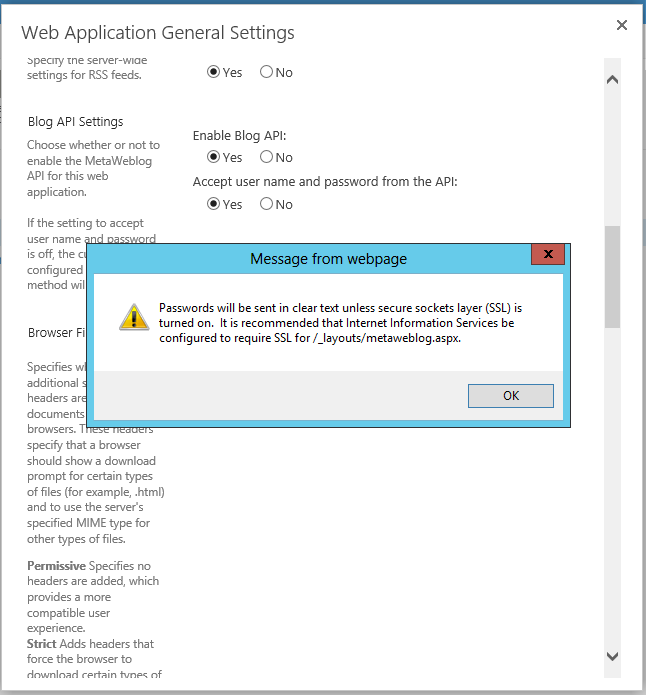 Go to SharePoint 2013 Central Administration >> Manage Web Applications >>Web Application General Settings >> Set the option for "Allow user name and password from the API" to Yes. If your current logged in Windows user account isn't the same as your SharePoint account, You may get this error! Set your Internet Explorer's settings to prompt of user name and password. Delete your cookies and try again. You should get this "Account registration successful" message. Where is SharePoint 2013 Central Administration ? Pls tell step by step.. from where can I find it? thanks! Well, SharePoint 2013 Central administration will be hosted in one of your SharePoint Server. You got to Login and find out! I am also facing problem with blogger. Plz help.